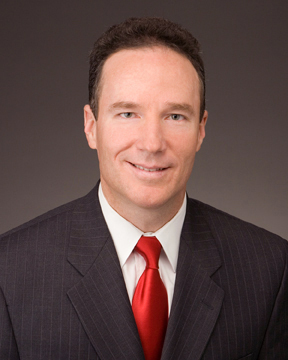 As a partner in the Tallahassee office of Rumberger, Kirk & Caldwell, Leonard Dietzen has built a reputation for being on the forefront of challenging employment and labor issues. He routinely consults with employers on the development, application and implementation of policies and procedures, which can help avoid employment-related claims. Here, Leonard answers a few questions about his practice, his role as a mentor, and how he spends his free time. Leonard, you have successfully represented clients in both the private and public sectors and many of your clients routinely refer your services to others. What is the secret to good client relations? I believe in nurturing a relationship, interfacing with clients as colleagues working toward a common purpose on an equal playing field – which is not the typical lawyer-client relationship. When I first begin working with a new client, I have to learn their business, school, city, etc. For instance, I know how the law applies to issues in the public sector, but every law enforcement agency or school board has its own unique culture and complexities. I like to get to know the people, the ebbs and flows of their work and the objectives they are working to accomplish. While the work is serious, we have a lot of fun. We joke around and bring some levity into our relationship. I have taken to referring to the Executive Director of an association as a ‘Rock Star’ and the ‘Head Rock Star’. We’ve had fun with it and when I call and ask to speak to the Rock Star, everyone knows whom I asked for. Now, folks within the Association have begun referring to me as the attorney to the Rock Stars. What type of issue do you most enjoy working on? Definitely employment and labor disputes because those involve solving people problems. Crisis management finds me functioning at my best solving issues and deciding the best course of action, even if ultimately no lawsuit is filed and the client saves money by not owing large legal fees. When an employer and employee face a problem, delving into it and finding a solution that everyone can live with is very satisfying – especially if we can avoid terminating someone’s employment. I just really enjoy sorting out labor disputes or public records issues. I also enjoy working on police civil rights cases because I have worked with law enforcement agencies for over 23 years. Lately, my role as a school board attorney in Suwannee County has peaked my interest too in education law. The field of employment and labor law is always shifting. How do you keep ahead of it? I’m always looking for a new topic to become relevant. In the past several years, social media and texting have been a real challenge for employers. Public sector employers have had to address email issues and archiving text messages, and everyone continues to struggle with employee use of FaceBook, both on and off the job. Having clear policies in place is very important – but they must be frequently updated to keep up with the constant changes in social media. Employees have to be trained and managers have to model good social media behavior. Right now all employers are facing the massive changes that will occur as ObamaCare rolls out. The impact on union negotiations and health insurance companies will be unprecedented. Most organizations don’t understand how the law is going to change things. All health care plans are going to change dramatically and this is going to require union negotiations. In the past, I have co-authored courses that have trained millions of people through online courses. We have addressed the implications of HIPPA, public records for school boards, email pitfalls, collective bargaining and Florida’s Sunshine laws. Having an online course available can save an organization a lot of money and help them avoid many problems. We’re now working on a course that addresses ObamaCare. Having a good work ethic is so important. There is nothing better than good old-fashioned hard work. At the same time, people were extraordinarily generous with their time when I was just starting out in my career. Having a mentor is invaluable; you just cannot do it alone. Now I’m giving back as a mentor, connecting with people at the law school and in the firm. And, while building relationships is key to referral business, I always ask a new client how they found me. More and more, people are relying on Google searches. They access online articles related to their lawsuit and then visit the firm’s website. General counsel are becoming particularly savvy in their searches, looking at similar cases and finding out which attorneys have experience with a particular opposing attorney. They are using Westlaw searches and paying more attention to Super Lawyers and Elite Lawyers listings. Today, attorneys not only have to be good at their job, they also need to maintain high visibility on the Internet by publishing articles and participating in social media. So, what do you do outside the office? I would rather be fishing than anything else. My hobby is flats fishing at the St. Marks in Florida’s Panhandle with family and friends. I also do some deep-sea fishing and keep a full complement of fishing gear stored at my mom’s condo in Naples. I’ve been known to travel with gear in my trunk; which has really paid off. During a meeting with a sheriff, he had a cancellation for a charter tarpon-fishing trip and asked if I would like to join them. I was ready to go in 10 minutes. While I really enjoy getting out and finding the perfect location to find fish, most of my fishing is catch and release – I’m really just too lazy to clean and cook them. I also love to read most anything except science fiction. My favorite author is Pat Conroy but I recently picked up an autobiography by George Carlin, a great funny book I found in the bargain bin for $1.